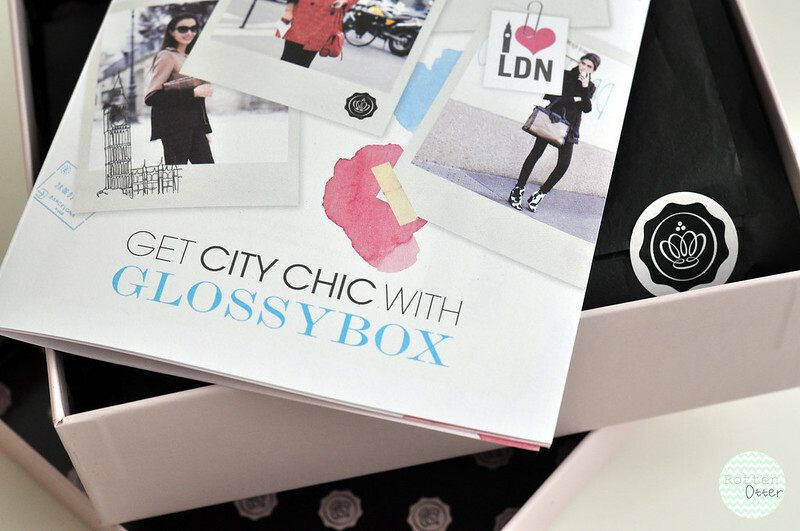 I'm so pleased Glossybox have started releasing their boxes earlier in the month. With Birchbox still being released later in the month they're more spread out so I think I appreciate them both a bit more if that makes any sense. Instead of them both arriving near enough on the same day. 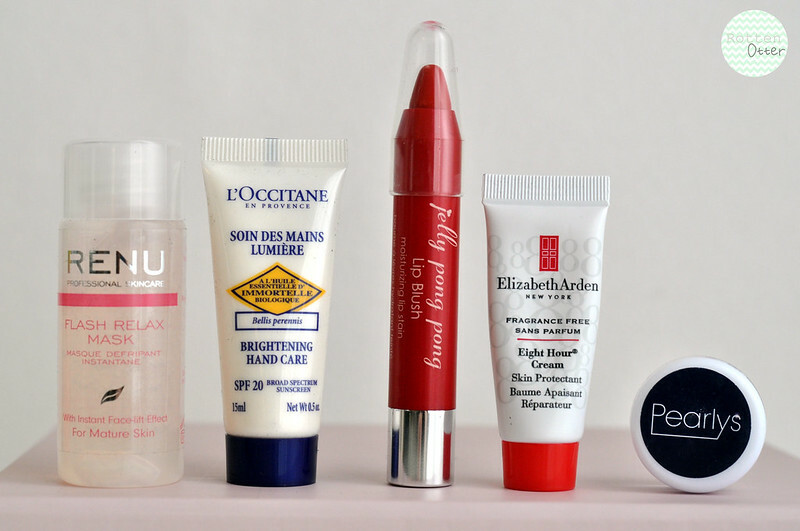 My March Glossybox* arrived last week so I've actually had a bit of a chance to try the products before posting. I'll still only be able to give my first impressions but it's better than just looking at the products. Renu Flash Relax Mask - This face mask claims an instant face-lift effect. As it's for mature skin I'm going to see if my mum wants to give it a try one night. It smells of ginseng which I like. L'Occitane Brightening Hand Cream - I love L'Occitane hand creams and already have a tube of this from another beauty box. While this isn't my favourite hand cream from L'Occitane, it works. I'm just not a huge fan of the scent and prefer some of the others the brand offers. Jelly Pong Pong Lip Blush - I'm not a huge fan of Jelly Pong Pong products but this is one that I actually like! It's very similar to Clinique Chubby Sticks but it's a bit more of a stain meaning the colour lasts a lot longer. It isn't as moisturising though. Elizabeth Arden Eight Hour Cream Skin Protectant - I'm a huge fan of 8 hour cream and already have a jar of it. This little tube will be perfect for my handbag as I currently carry round a little depotted jar of it. I mainly use this for my lips but you can apply it to any dry areas of skin. I also didn't realise until using it, this is the scent free version. I like the scent of the original but I know a lot of people don't like it so this is perfect. Pearlys Teeth Brightening Powder - This is the only product I haven't tried yet. It's a tooth whitening powder which you dip your toothbrush into and brush your teeth. I'm a little scared of trying it but I'm sure I will at some point. Glossybox is £10 (+P&P) a month for 5 deluxe sized samples from a range of beauty brands. I'm actually thinking of subscribing. I subscribed to Boudoir Prive ages ago but it was a let down! Btw, just want to let you know that the blog you are following that was previously owned by myself is now dormant but you can find me on my new blog; The Science of Happy. 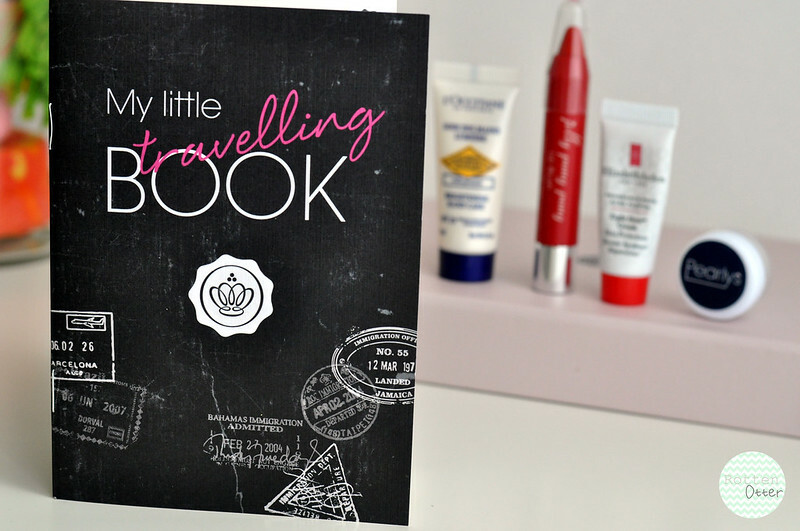 It already has 29 posts up so far so lots to read already and I've got a new feature up where you get to be nosey and see what other followers have in their bags!